Eddy Cue, Apple’s new iTunes/iCloud chief, has just one through a series of iCloud features at the company’s Cupertino, California campus. He covered the stuff Steve Jobs already explained during his WWDC keynote talk this past summer, including Documents in the Cloud, Photo Stream, iTunes in the Cloud and redownloading purchased content. The Find My Phone feature which pinpoints a lost or stolen iOS device on the world map has been renamed simply Find My Devices, suggesting Macs will be added at some point, too. He also announced Find My Friends, a new service along those lines which displays location of friends on a map using location services from their iOS device. 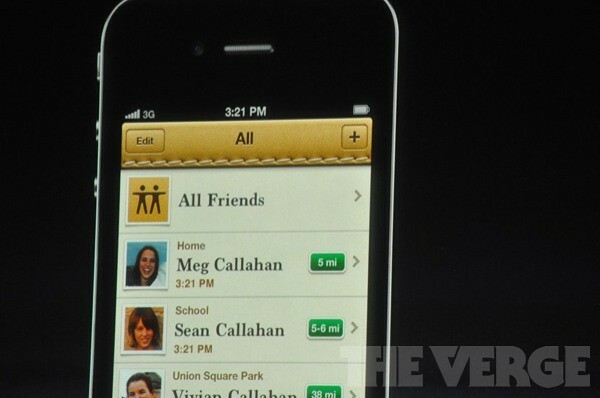 Eagled-eyed readers will remember 9to5Mac broke news of Find My Friends back in January 2011. Some have already coined a new name for it: The iOS Latitude. Don’t worry, you have privacy controls at your disposal allowing you to set Location sharing to only happen during set periods of time and you can control with whom to share your location. This will no doubt be the parents’ favorite. Find My Friends, as you may have guessed, will be provided as a brand new app for your iOS device.The iTunes Match service will go live at the end of October in the United States. Apple is working on enabling it internationally, Cue said. Surprisingly, Cue said that the iTunes Match streams music and stores in intelligently on the device. As you may recall, there has been some concern over whether the music-matching service streams or not. The iCloud, which replaces the MobileMe (which in itself was an advanced version of .Mac) goes online for everyone October 12, just like the final shipping version of iOS 5.